Earlier this summer, we launched #AdvanceEquity, a new digital dialogue series about equity, inclusion, and social impact. #AdvanceEquity is a digital build-out of the rich and provocative conversation that was started at New Profit’s Gathering of Leaders in March (VIDEO). Throughout the series, we’ll be highlighting the stories of people and organizations that are fearlessly pushing the boundaries to break down systemic barriers to opportunity in America. As part of this campaign we have decided to start a series to highlight our portfolio organizations and how they are working to #AdvanceEquity. This week we will be highlighting Turnaround for Children. When Turnaround for Children first visited Dana Kirton’s second grade classroom at Fairmont Neighborhood School in the Bronx, things were chaotic. “Children weren’t given parameters, and they didn’t know the expectations,” said Ms. Kirton. “There was running in the halls, there was fighting, there were children refusing to cooperate or refusing to listen to teachers.” The challenges she describes are shared by teachers and students across the country, particularly those in high-poverty communities. Today, 51 percent of children in public schools live in low-income households, the highest percentage since the National Center for Education Statistics began tracking this figure. That translates to 47,000 schools in the U.S. that have a majority of students growing up in poverty or close to it. Children living in poverty, like many students at Fairmont Neighborhood School, where 91 percent receive free or reduced price lunch, often endure stress from adverse experiences, such as exposure to violence, homelessness or loss of a loved one. Over time, this stress affects the brain in ways that make it difficult to concentrate, learn and succeed in school. For example, a student who experiences the stress of living in transitional housing may struggle to develop self-regulation, the ability to cheer yourself up and calm yourself down. Schools, however, often fail to recognize that many of their students have not developed this and other critical skills and mindsets such as attachment, executive functions and growth mindset, which are essential for learning. Sadly, this gap between a student’s needs and a school’s expectations only widens over time, and student outcomes often suffer as a result. By studying the impact of adversity on the developing brain, Turnaround is connecting the dots between poverty, stress and academic performance. This year, the organization published the “Building Blocks for Learning” an evidence-based framework for comprehensive student development, comprised of the skills and mindsets that students need to succeed in school and in life. The Building Blocks for Learning provides a rigorous perspective on what it means to intentionally teach the whole child - to develop the social, emotional, motivational and cognitive skills in every learner. The framework acknowledges that students will not begin school with the same set of tools or knowledge—some will be far ahead of their peers, and others will be far behind. It empowers educators to recognize their students as individuals and design their classrooms to be safe, supportive and predictable environments conducive to healthy development. Once students feel safe and supported, then learning can begin, “Children start to understand ‘I’m part of a community. This is what’s expected of me; this is how I take care of my friends; this is how I take care of myself. I’m here to learn and have fun,’” Kirton said. 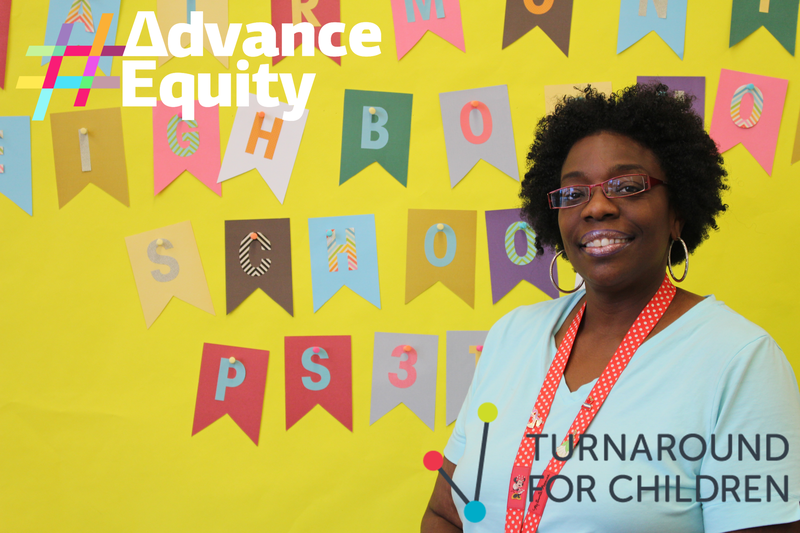 Turnaround believes that we cannot close the achievement gap without acknowledging and responding to the impact of adversity on the developing brain and its acquisition of cognitive and social-emotional skills. Building Blocks empower adults to engage in student development that drives academic achievement. Click here to read more about Turnaround for Children.